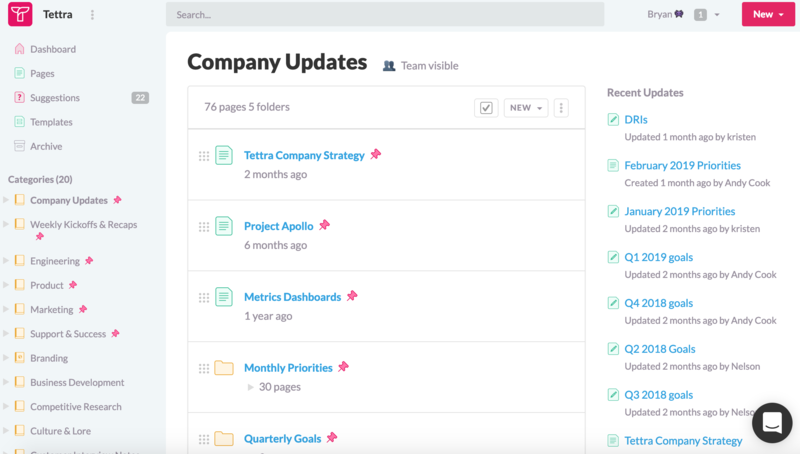 We're building Tettra to be the best place for you to organize and share knowledge and ideas with your team. Here are some things you can do with Tettra pages. Any page can be edited by any user who has access to it. To edit a page, click the edit link above the title of each page. We made it easy to add files, @mentions of you teammates, images, page references, and embedded content in our editor. More about editing pages here. Each page has a page owner. The page owner is responsible for keeping the content on that page up to date. The owner will also be notified of any comments made to that page. You can change a page’s owner when editing a page. Any user can comment on a page by using the comment form at the bottom of each page. The page’s owner will be notified of any comments if you have Slack notifications enabled. Pages can be published in a single category. Categories can be viewed by any team member unless they're private. To restrict access to certain pages, create a private category and select who you want to be able to view pages in that category. Pages can also be filed in Folders. 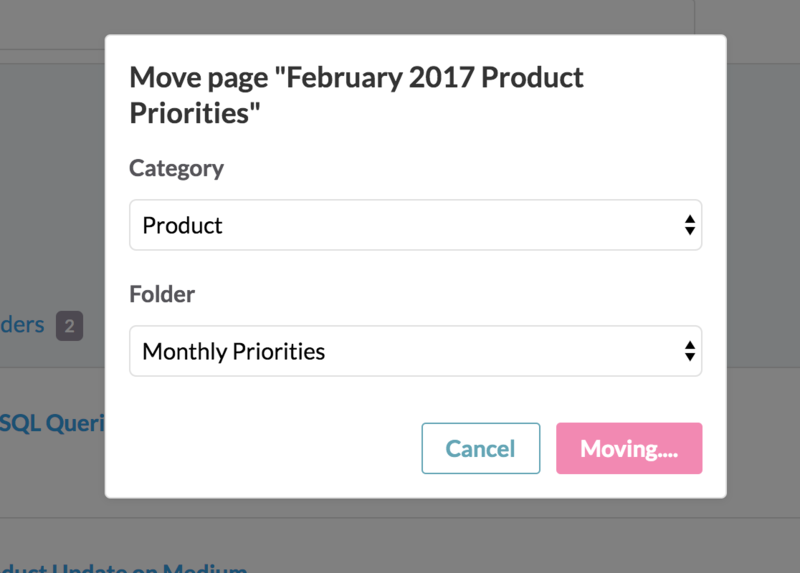 To file a page in a folder, use the dropdown on the category or page view, and select "move". You can then select the category and folder you want to move the page to. Check out this article for more information on moving pages and folders. When you publish a Tettra page, it's really useful to know if your teammates have viewed it and what they think of it. Page viewers allow you to see who has ever viewed each page. You'll find page viewers at the bottom of each page. 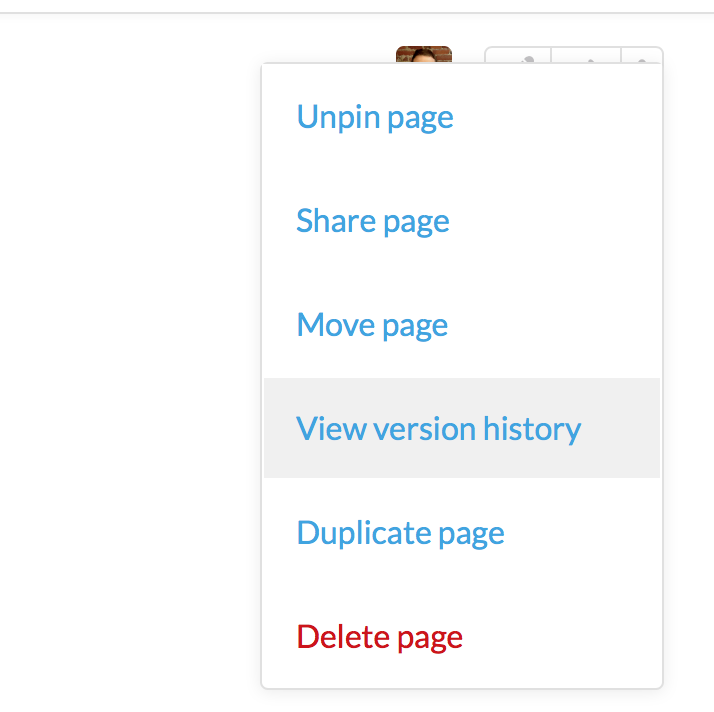 Page reactions allow you or your teammates to add an emoji reaction to any page (just like Slack!). You'll also get a detailed version history for each change that's been made to a page. This is useful to see what's been updated in a page.